Vermiculite Products Vermiculite is a 100% natural material that can be used for void fill and many other uses. Please call us now on 01268 768 768 to discuss your requirements, we will beat any UK price! Vermiculite is a totally 100% natural loose fill material that can be used for void fill and many other applications. It is made from aluminium-iron-magnesium-silicates and consists of thin, flat flakes. Also known as Micafil, it is sold in 100 litre (3.5 cubic ft) bags of lightweight chips and it is a great alternative to polystyrene chips. This is a highly absorbent packaging material, which makes it ideal for packaging containers of liquids or other items that may leak. 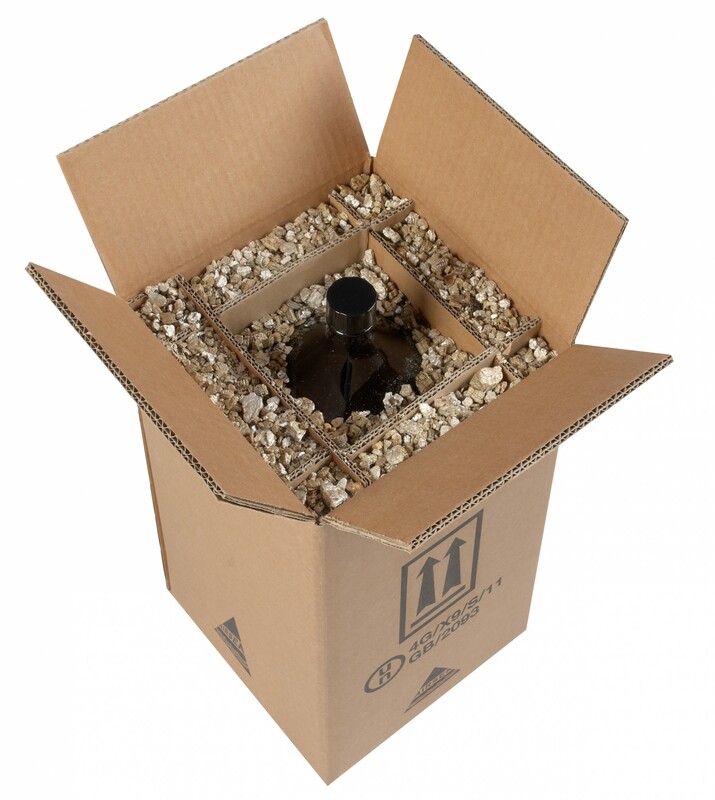 It is also fireproof, so can be used to pack flammable and other hazardous goods.